Last month, the ED lodged a money laundering case against Mehul Choksi on the basis of an FIR registered by the CBI. It was alleged that Mehul Choksi and others committed the offence of cheating against PNB in connivance with certain bank officials by fraudulently getting the Letters of Credit. The Enforcement Directorate (ED) on Thursday said that it has attached Mehul Choksi's 41 properties worth Rs 1217.20 crore in connection with its money laundering probe in the PNB scam. The ED also examined Punjab National Bank's Managing Director and CEO Sunil Mehta at its zonal office in Mumbai on Thursday. The attached assets include 15 flats and 17 office premises in Mumbai, one shopping mall in Kolkata, one farm house in Alibaug built in 4 acres and 6 parcels of land of total area 231 acres in Alibaug, Nasik, Nagpur, Panvel, and Villupuram (Tamil Nadu). One Hardware Park in the name of M/s Hyderabad Gems SEZ situated in Ranga Reddy District of Andhra Pradesh has also been attached. This park spreads over 170 acres and has value to the tune of 500 crores. The ED had early this week examined state-owned bank's Executive Director K V Brahmaji Rao to understand how the alleged fraud was detected and other banking procedures. 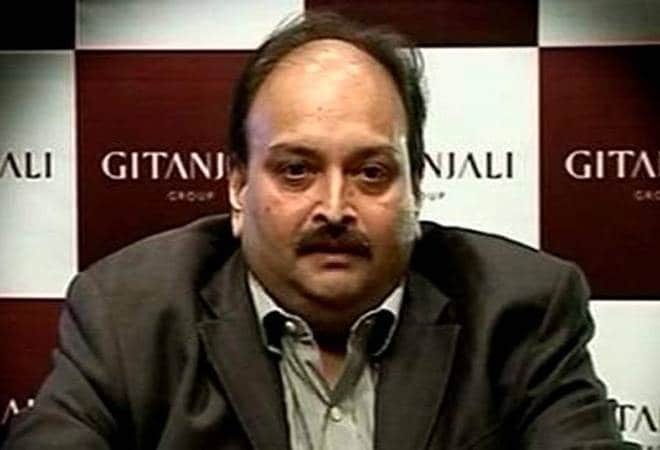 The individuals and companies, the agency order said, who own these assets include Mehul Choksi, Rohan Parth, Gitanjali Exports Corporation, Gitanjali Gems Limited, Decent Securities and Finance Pvt Ltd, N&J Finstock Pvt Ltd and Rohan Mercantile Pvt Ltd among others. The agency, last week, had similarly attached 21 immovable assets worth Rs 523.72 crore of diamond jewellery businessman Nirav Modi and his group. As part of the agency's PMLA probe against the two, the ED said it has till now has conducted 198 searches across the country leading to the "seizure" of gold, diamond, platinum, silver, precious and semi-precious stones, jewellery and watches of "stock value" of more than Rs 5,100 crore. The agency had said it is "independently valuing" these assets. The agency earlier also seized shares and mutual funds to the tune of Rs 124 crore belonging to Modi and Choksi and companies controlled by them. Also, it said, bank accounts with deposit balance of Rs 38.7 crore have been frozen and thirteen luxury cars belonging to Nirav Modi, his brother Nishal Modi and Choksi have also been seized. Nirav Modi and his uncle Choksi and others are being investigated by the ED, CBI and other probe agencies after the bank fraud recently came to light, following a complaint by the PNB that they allegedly cheated the nationalised bank to the tune of over Rs 12,000 crore, with the purported involvement of a few employees of the bank. Last month, the ED lodged a money laundering case against Mehul Choksi on the basis of an FIR registered by the Central Bureau of Investigation. It was alleged that Mehul Choksi and others have committed the offence of cheating against Punjab National Bank in connivance with certain bank officials by fraudulently getting the Letters of Credit or LoUs issued without following prescribed procedure and caused a wrongful loss to the bank. The ED probe began with CBI FIR against Nirav Modi in the biggest banking fraud. However, very soon it turned out that Nirav Modi's uncle Mehul Choksi also cheated the bank by accessing fake LoUs. They both opted similar modus operandi. The ED registered a case against Nirav Modi under the provisions of PMLA. In the Nirav Modi case, the agency attached 21 immovable properties worth Rs 523.72 crore. The attached assets include a farm house in Alibaug, Solar Power Plant, 135 acre land in Ahmed Nagar, residential and office properties in Mumbai and Pune. So far, the investigating agency has conducted 198 searches that led to the seizure of gold, diamond, platinum, silver, precious-semiprecious stones, jewellary, watches of stock value more than 5100 crores, shares and mutual funds to the tune of Rs 124 crores belonging to Mehul Chokshi and Nirav Modi. The ED has also seized bank accounts with balance Rs 38.7 crores , 13 luxury cars belonging to Nirav Modi, Neeshal Modi and Mehul Choksi.